An evening for elephants was an event held at NFC to shed light on Human-elephant conflict and formation of a long-term elephant conservation strategy for the country. 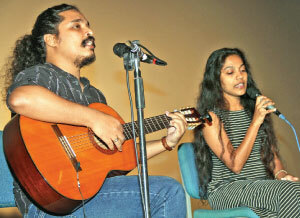 The event having two segments comprised the launch of two children’s books and screening of an award-winning documentary film on elephant conservation. 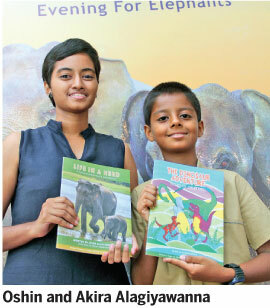 The two books, “Life in a Herd” and “The Dinosaur Adventure” were written by Oshin Alagiyawanna (17) and Akira Alagiyawanna (9) two nature lovers who study at Springfield College and Gateway College, Colombo. All proceeds from these two books will be used for offering scholarships to secondary school students living in human-elephant-conflict areas. Chief Guest of the event British Council Country Director Gillian Caldicott in her speech praised innovative presentation style of the two books. 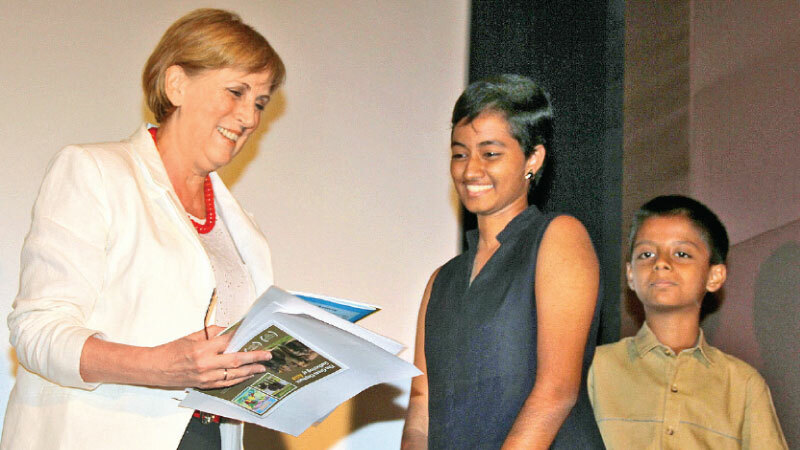 Her speech touched the areas of Youth, creativity, books, reading, English, Wildlife conservation, conflict resolution, home society development, prosperity and philanthropy. Caldicott said, “These two young writers have proved anything is possible if one has a passion. The books revolve around the subject of better future for humans, elephants, animals and society. Every child is born with immense potential and it is the duty of a school, parents, and teachers as educators to provide an environment to stimulate courage to unleash the creativity and ability of young persons. Creativity can take many forms and our challenge is to help every child to achieve his or her full potential”. Adding more to the subject she said, “The power of books must be told to children. Knowledge in English opens up better career paths and more rewarding prospects. Knowledge of global value systems could be derived via English books. Our environment is being degraded every moment and the impact is on climate changes. Wildlife and environmental conservation are of utmost importance”. She further commented, “Conflict and pressure between wildlife and the people making a living off that land is very much reflected in the book, “Life in a Herd”. This charming book tackles the issues of human-animal conflict and offers a hint of resolution. The book tells us how to prosper together with coexistence. A society that is aware of its heritage and its indigenous wealth is a society that can prosper. Sri Lanka has an amazingly rich bio-diversity that has to be treasured. Guest of Honour, Dr Edwin Ariyadasa, said the subject matter in the two books are neatly disciplined and storytelling is perfect. “Oshin in her book, “Life in a Herd” has brought to life the human-animal conflict prevailing in the country for ages in a creative manner. She has looked at the issue on the point of view of elephants. One has to have the right kind of imagination to get into the mindset of those animals. Oshin has named the baby elephant, Mali to give her a personality and a sense of humanity. She in her narration dwells upon how a herd is being nurtured, the affection elders have towards the young and fear they have on the intervention of humans in their lives. All these facts are neatly narrated to be quite absorbing. The book urges us to build a collective attitude towards conserving elephants and to live in harmony with them”, said Dr Ariyadasa. 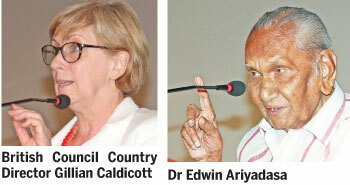 “One can understand a 17-year-old child writing on elephants that are in a way a fact of our life as Sri Lankans. But imagine a child of nine talking about dinosaurs that were wiped out from the surface of the Earth due to unknown reasons 66 million years back? Akira in his book “The Dinosaur Adventure” speaks of a baby T-Rex Dinosaur that falls in a pit and the warmth of her peers towards her. Akira transfers human emotion to those animals that are already extinct. This creativity is extraordinary. Parents of these two outstanding children must be hiding a ‘parental formula’ that other people may not be aware of”, he concluded.